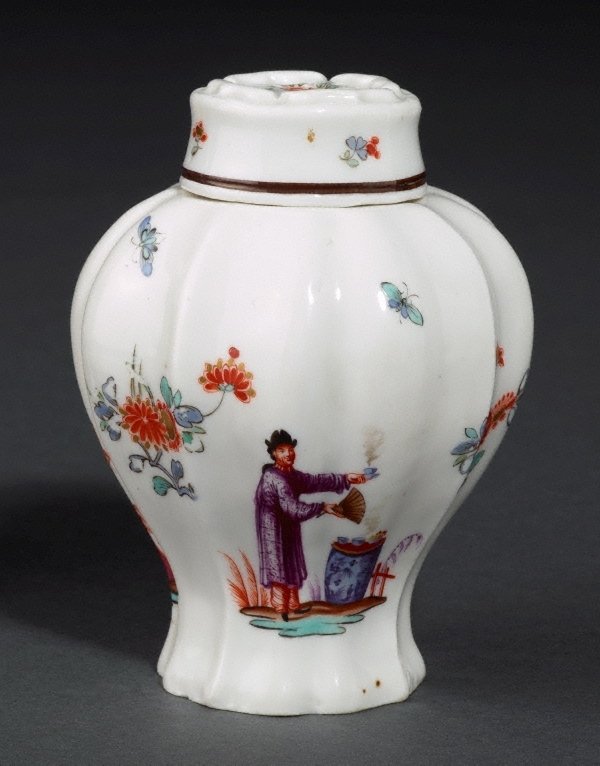 The shape is unusual, most Meissen tea canisters of this period being of a simpler hexagonal form. The man holding up an incense burner on two poles is taken from a print by JG Höroldt dated 1726. The other figures, including a man holding a bowl of tea, are presumably also based on Höroldt designs. The accompanying sprigs of foliage imitate the limited palette and stylised form found on Japanese Kakiemon porcelain.